It is the story above all, and Lazlo’s Revenge is an excellent story, inspired by true events in places devastated by war, and those who suffered greatly. Readers develop a personal relationship with the characters, Lazlo, Gertrude, Captain Koz, and Read More.. Description It is the story above all, and Lazlo’s Revenge is an excellent story, inspired by true events in places devastated by war, and those who suffered greatly. Readers develop a personal relationship with the characters, Lazlo, Gertrude, Captain Koz, and others, leaving them wanting more. Max Fischer (Maxine Schoellkopf Fischer, fictional narrator of Lazlo's Revenge) a writer and Swiss war correspondent whose parents lived the tragedies of the Great World Wars, set out to see the very places, and events her parents survived on their odyssey to escape danger and death. It is the story above all, and Lazlo’s Revenge is an excellent story, inspired by true events in places devastated by war, and those who suffered greatly. Readers develop a personal relationship with the characters, Lazlo, Gertrude, Captain Koz, and others, leaving them wanting more. Max Fischer (Maxine Schoellkopf Fischer, fictional narrator of Lazlo's Revenge) a writer and Swiss war correspondent whose parents lived the tragedies of the Great World Wars, set out to see the very places, and events her parents survived on their odyssey to escape danger and death. 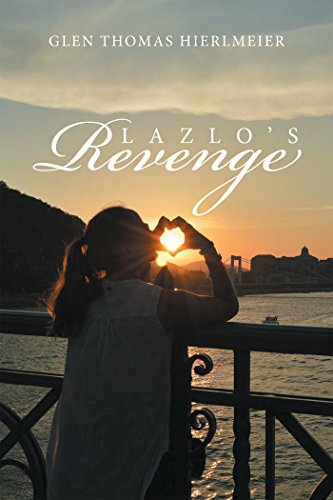 No reviews available for #LazlosRevengeBook, Do you know Lazlo's Revenge?, Please add your review and spread the good things. This #hashtag is not ranked yet. Let the world review #tag !